Create magnets with a laminate finish on the front. 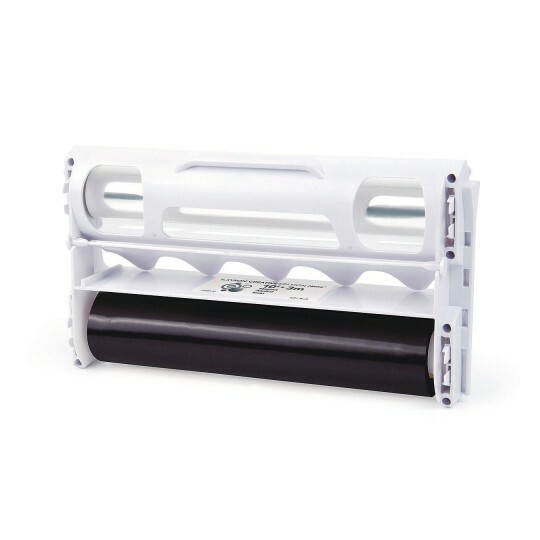 Cartridge drops easily into Xyron Cold Laminator (AC955). Use with photos, paper cut-outs or letter-sized "works of art." Magnetic sheet cuts cleanly with scissors. Load in 3 easy steps. Create magnets with a laminate finish on the front. Cartridge drops easily into Xyron Cold Laminator (AC955). Use with photos, paper cut-outs or letter-sized “works of art.” Magnetic sheet cuts cleanly with scissors. 10 feet long. Easy to load in 3 steps: lift the lid of the laminator, remove the used cartridge and drop in a new one. Laminates items up to 8-7/8" wide in any length.